Attention Investors! Three Detached Single Family Homes for Sale by same Owner. All two homes are currently rented. 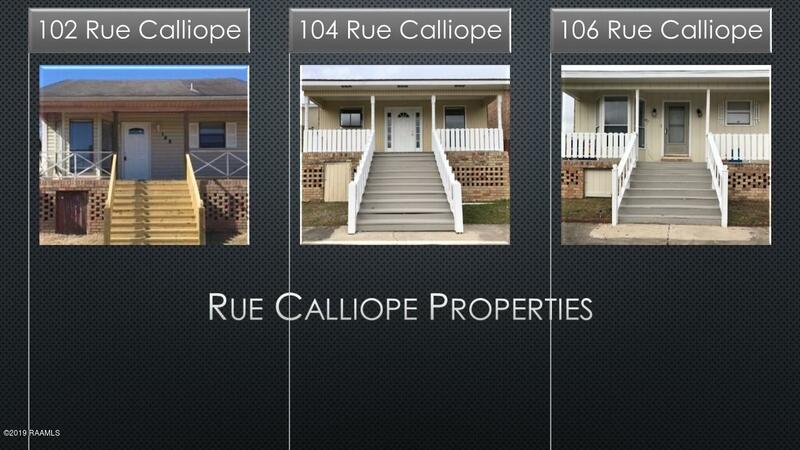 House #102 - vacant, #104 for $825 and #106 for $795. Do not disturb the tenants! Occupied units can be seen after Offer to Purchase has been accepted. 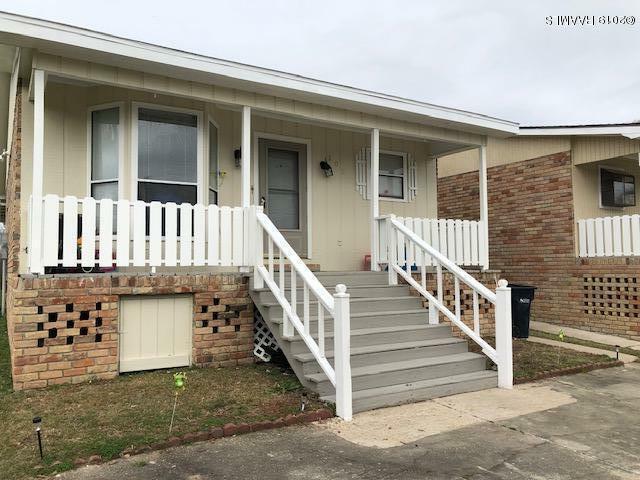 All homes have 2 bedrooms, 2 bath, with washer/dryer connections. Each unit has two open parking spaces right out the front door with additional parking available. Location right off I-49 right off the Carencro Exit. Property has been managed by OSRPM since purchase. Financials can be obtained from Property Manager. Possible owner financing with 15% down.#102: MLS#19000490. 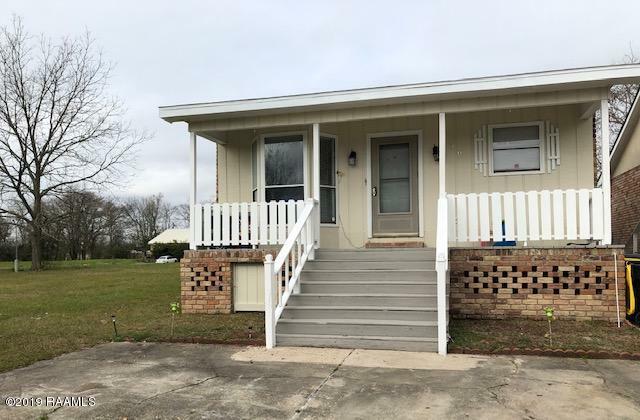 This attractive raised cottage has open floor plan and cathedral ceilings in living room, wood and ceramic tile floors, whirpool bath and walk-in closet in master. Patio area has outside sink and storage building. #104: MLS#19000449. This cozy Acadian style home is very spacious with cathedral ceilings you never feel closed in. The living room and kitchen are combined, approximately 25 x 22. The master has a sliding glass door to access fenced-in backyard and master bath has double vanity. #106: MLS#19000466. This charming raised cottage is perfect for two with open floor plan and cathedral ceilings in living area, wood and ceramic tile floors, whirlpool bath and walk-in closets in master. 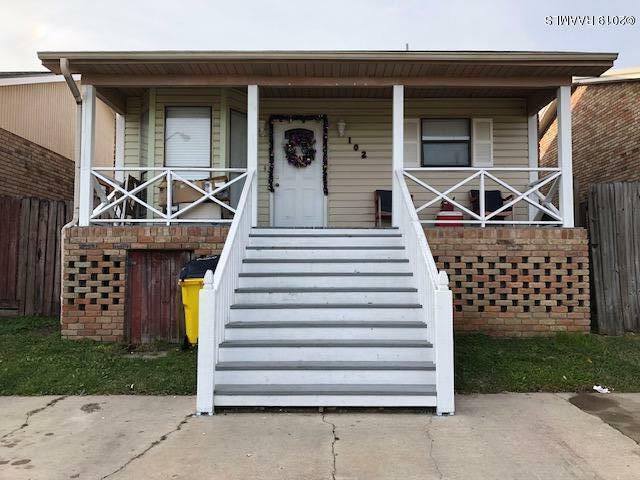 This home has enclosed porch that can be utilized as great room and/or for 3rd bedroom or office. Currently repainting home will post updated pictures when completed.